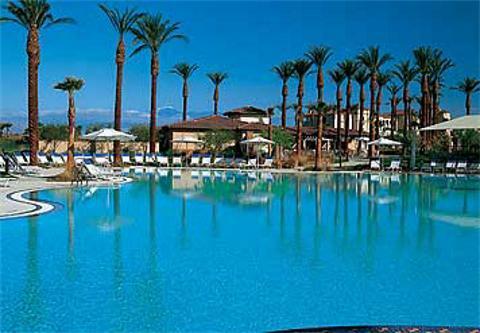 You’ll find the Marriott Shadow Ridge timeshare resale nestled at the foothills of the Santa Rosa and San Jacinto mountain in the prestigious community of Palm Desert which is known for its elegant style, luxurious spas, trendy cafés and serene surroundings. The resort is actually two resorts in one setting – the Villages which has one and two bedroom villas and Enclaves which has one bedroom, two bedroom and two bedroom deluxe villas. 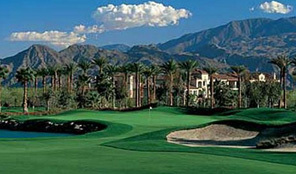 Resort amenities at the beautiful Marriott Shadow Ridge timeshare resale include the Marriott Golf Academy, a full service golf school and practice facility and also home to Shadow Ridge Golf Club, an 18 hole championship course. 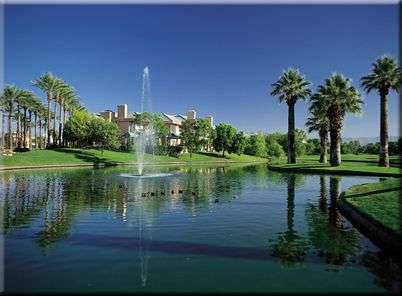 The Grill at Shadow Ridge offers casual continental cuisines for lunch and dinner in a country club atmosphere (hours vary according to season). The Marketplace is where you can find snacks, cold drinks, ice cream and necessities. You’ll also find Starbucks coffee, specialty espresso drinks and more. 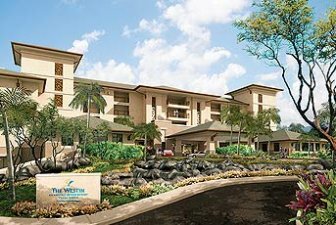 Additional dining options include Chuckwalla Pool Bar & Grill and Snakebites Pool Bar and Grill. 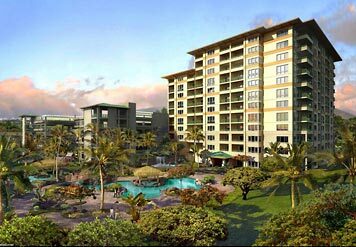 Additional amenities at this timeshare resale include a fitness center with steam room and sauna, heated outdoor pools with whirlpool spas, children’s splash area and waterside, 2 half basketball courts, a volleyball court and lighted tennis courts. There is also an interactive park area, kids activity center and outdoor playground. Select two bedroom lock-off villas at this timeshare resale to offer mountain, lake and fairway views and feature an open living and dining area, fully equipped kitchen, televisions throughout the villa, a DVD player in the living area, a gas or electric fireplace in the living area and fully furnished private balconies and patios, along with in-villa washer and dryer. The master suite has a king-size bed and oversize soaking tub with separate shower. Select two bedroom villas offer a lock-off option which enables you to create separate units; one with a full kitchen, living and dining areas and the other with a kitchenette. NOTE: Lock-Off option enables you to create separate units, one with full kitchen, living and dining areas, and the other with a kitchenette. Following you will find the 2017 Maintenance fees for the Villages one and two bedroom villas and Enclaves one bedroom, two bedroom and two bedroom deluxe villas. 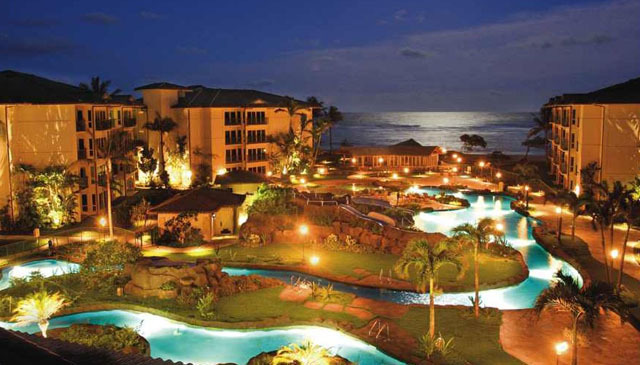 Marriott Waiohai – Luau’s Worth Checking-out!